Introduced by Maxine Peake and Board Member Tony Broadbent. Miss Peake will be interviewed following the screening by Mostly British Senior Programmer Maxine Einhorn. English actress Maxine Peake will join us at the festival with two of her new films, which she will introduce and participate in a Q & A following the screenings. 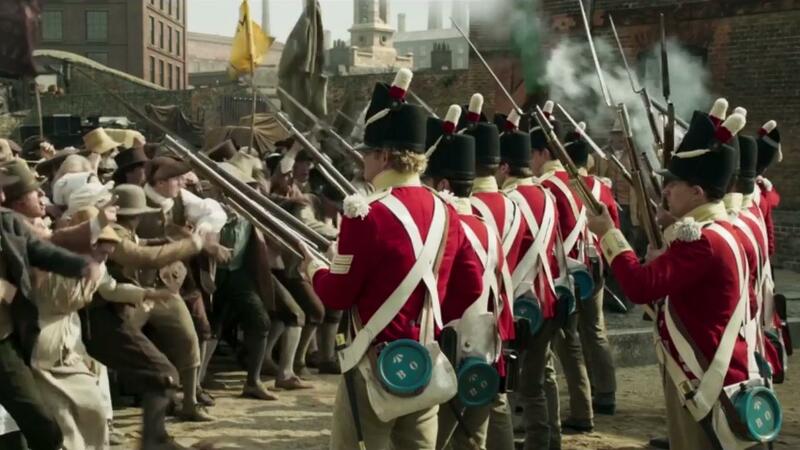 She stars in “Peterloo,” as the mother of a young British conscript in this story of the infamous 1819 massacre at Peterloo. In “Funny Cow” she plays a female comic attempting in the 1970s to find a place in England’s comedy circuit. The Guardian wrote of her performance “Peake rises magnificently to the challenge of the role, her face flickering between a practical smile and a silent scream.” She is a regular on the Hulu show “The Bisexual” and is known in the UK for lead roles in the TV series “Dinnerladies” and “Shameless.” She has also appeared in “Black Mirror” and the movie “The Theory of Everything.” Her stage work includes the title characters in “Hamlet” and “Miss Julie” and as Blanche in “A Streetcar Named Desire,” a performance The Guardian described as “exquisite” and “breathtaking.” Introduced by star Maxine Peake and Board Member Tony Broadbent. Miss Peake will be interviewed following the screening by Mostly British Senior Programmer Maxine Einhorn.